Ten people were killed in two separate accidents at neighbouring gold mines in central China's Henan Province, official media reported today. 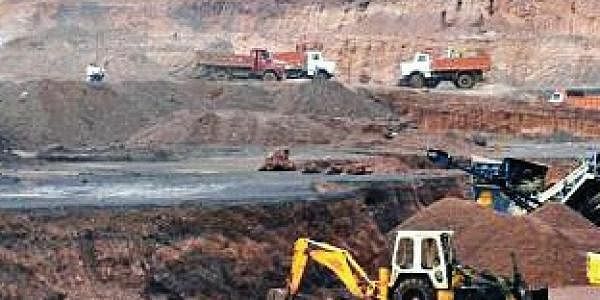 BEIJING: Ten people were killed in two separate accidents at neighbouring gold mines in central China's Henan Province, official media reported today. Thick smoke engulfed a pit at the Qinling gold mine of China National Gold Group in Lingbao City yesterday night, trapping 12 workers and six management staff, local officials said. Rescuers retrieved seven dead bodies from the pit last night. Of the 10 people who were found alive and sent to hospital, one failed to respond to emergency treatment and the other nine were recuperating, state-run Xinhua news agency reported. One of the trapped workers remained missing so far. But search and rescue had to be halted in the pit, where carbon monoxide density was extremely high and visibility was less than one metre, the city's emergency response office said. It said rescuers would use high-tech devices to locate the missing worker before search and rescue resumed. A similar accident was reported in a neighbouring gold pit yesterday afternoon where six workers were trapped. Four were rescued by evening and the other two were found dead, the report said.